Get access to more than 100 new brushes for Photoshop with new plugin ParticleShop. Today sees the launch of a new ParticleShop, the brush plugin that gives professional photo editors and compositors the tools they need to create incredible images that were unachievable with conventional Photoshop brushes. These brushes will be supported by powerful technologies such as Dynamic Speckles and F-X Effects which were previously only available in Corel Painter. Thanks to the launch of ParticleShop, Photoshop and Lightroom users can now instantly access over 100 new brushes to create realistic and organic images. Capable of delivering a fast and responsive photo editing experience, the plugin can deliver hand-painted effects that pack a human touch. Digital artists can use one brush to create photo-realistic effects that flow across the screen, for example, before switching to another brush that produces strokes that bulge, diffuse, pull and twirl. “Every creative professional knows the feeling of settling for good enough when the look they wanted to achieve alludes them," says Chris Pierce, global product manager for Corel Digital Arts. "Maybe the deadline was too tight or you simply didn’t have the right tools to get to your vision. The new ParticleShop gives you access to hundreds of unique brushes to apply virtually any effect you can imagine in a more responsive, expressive and organic way,"
The new ParticleShop is free to current users and includes a Core Pack with 11 new brushes. Users can also choose from 6 new brush packs leveraging the new Dynamic Speckles and F-X Effects brush technologies: Impression Pack, Blenders Pack, Expressive Pack, Grunge Pack, Nature Pack, and Creepers Pack. 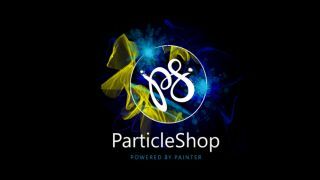 ParticleShop now gives users access to more than 350 unique brushes for realising their creative vision. Priced at $49.99, the new ParticleShop includes a core pack of 11 new brushes. Registered owners can grab the plugin as a free update. Find more information and details on how to buy ParticleShop here.